Former Albion midfielder Andrea Orlandi has joined Indian Super League holders Chennaiyin on a one-year deal. Orlandi will again link up with Inigo Calderon, a fans' favourite at Brighton, who he played with at the Amex from 2012 to 2014. 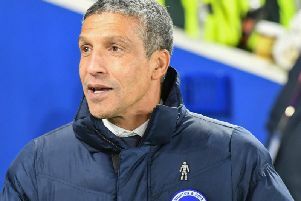 Ex-Albion defender John Gregory is the head coach of Chennaiyin and Orlandi, who has played for Blackpool, Anorthosis, APOEL and Novara after leaving the Seagulls, is looking forward to the upcoming campaign. Speaking to the Chennaiyin website, the 34-year-old said: “I am really excited to come to India and play for the champions. "I am close friends with Calde and as a result I did watch quite a bit of Chennaiyin last season. What Calde said about the bond in the dressing room and the positive atmosphere surrounding the entire club helped me make the decision to move. I’ve also had a good chat with John (Gregory) and I am looking forward to giving my 100 per cent in helping the team retain the ISL title." Gregory added: “In Andrea, we have a top-class professional with not just tremendous work ethic but also a vibrant personality. I know him very well from his playing career in England. An addition like him gives our squad more depth and creativity as we look to defend the title."